Tiger Tool 15060 5th Wheel Bracket Pin Puller Adapter is for use on Jost bracket pins. Designed for use on Jost bracket pins. 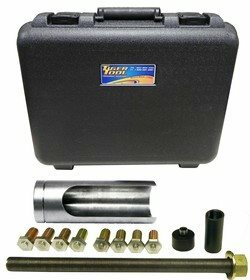 15000 Kit features a 20 ton hydraulic cylinder creating 40,000 lbs of pulling power that provides fast, safe and effective removal of even the most seized bracket pins. 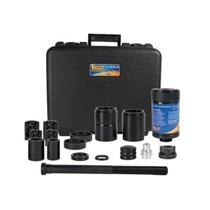 Machined components are manufactured from top grade metals for strength and durability and then finished with a black oxide coating that resists corrosion.